An apple a day keeps the doctor away? Well, too bad, because we have the doctor in the house, as this week I am joined by Dr. Mary Ruwart! Dr. Ruwart honestly should need no introduction, but for those of you who are unfamiliar in Dr. Ruwart&#39;s work, Dr. Ruwart is a research scientist, ethicist, and a renowned libertarian author/activist. 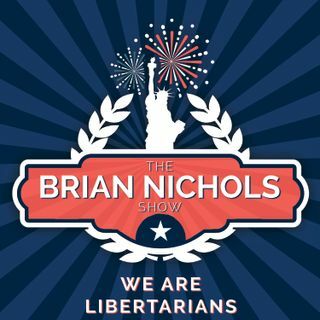 Listen as Dr. Ruwart and I discuss her start in politics/libertarianism, the history of the Libertarian Party, and the importance of accomplishing ... See More libertarian goals outside of using government force. Bio: Dr. Mary J. Ruwart received her B.S. in biochemistry in 1970 and her Ph.D. in Biophysics in 1974 (both from Michigan State University). She subsequently joined the Department of Surgery at St. Louis University and left her Assistant Professorship there to accept a position with The Upjohn Company of Kalamazoo, Michigan in 1976. As a senior research scientist, Dr. Ruwart was involved in developing new therapies for a variety of diseases, including liver cirrhosis and AIDS. Twitter: https://twitter.com/MaryRuwartSponsored By:Butcher Box: If you&#39;re a listener of The Brian Nichols Show, then you know that I like to talk about fitness and such. Sure, I like to lift things up and put things down to get big and strong, but the reality is that lifting weights is just half of the the equation needed to see results. What you put in your body is just as important as your workout, which is why I only eat meats from ButcherBox. Now, ButcherBox isn&#39;t paying me or sponsoring me to say this, but I feel so strongly about their product that I wanted to share my experience with you. And let me tell you, their meats are PHENOMENAL. Juicy chicken breasts, tender fillet, flavorful sirloin tips... ButcherBox makes it easy for you to get the highest quality meat delivered right to your door. Right now, listeners of The Brian Nichols Show can get get 2lbs of grass-fed ground beef for FREE added in EVERY box for the LIFE! Yes, you read that right... FOR LIFE! And let me tell you, I&#39;ve had ButcherBox grass-fed ground beef and is absolutely delicious. Some of the best burgers I&#39;ve ever had were from when I used ButcherBox ground beef. And guess what... using my link not only gets you free meat, but gets me free meat as well! It&#39;s a win-win! All you have to do is click the link or mail me at brian@briannicholsshow.com to take advantage of this amazing deal!